Every month people who are interested in the environment meet up for a beer at informal sessions known as Green Drinks. 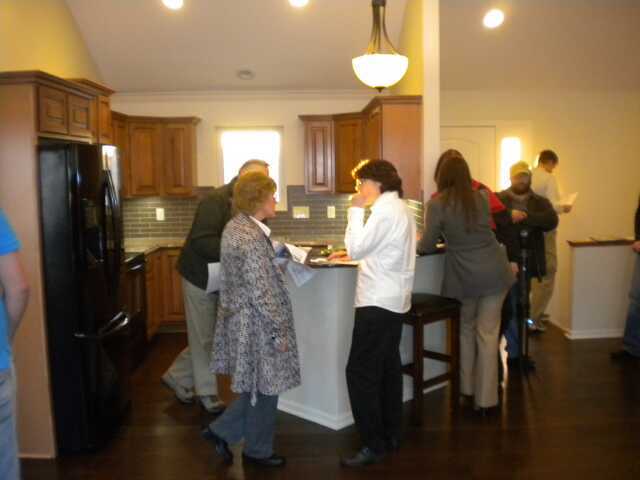 On Tuesday, March 2nd, this group was the first to accept an invitation to the open house and tour. Please visit http://www.greendrinks.org to learn more about this self-organizing network. Green Drinks group gathering and signing-in at the Breakfast Bar. 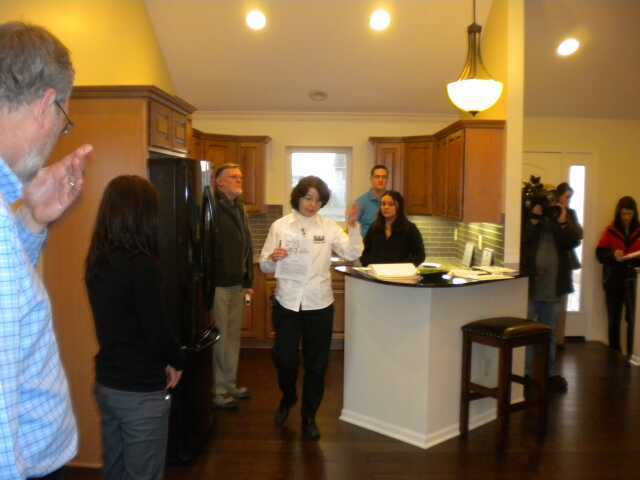 Laura Heagler, Bauer & Son Construction’s Green Development Coordinator explaining the home’s green features. 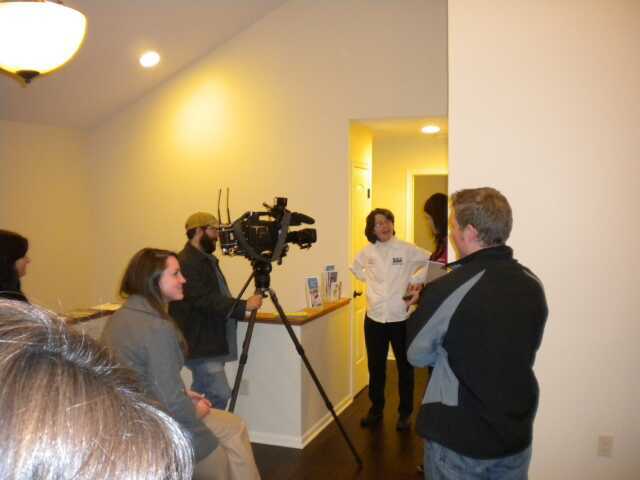 In addition to Green Drinks, a local TV station showed up and did several impromptu interviews. Adam Bauer, the home’s owner is being prepared for an interview. Laura Heagler is being prepared for an interview. Please visit the KWCH web site at http://www.kwch.com/Global/story.asp?S=12073508 to read the story and watch the video. 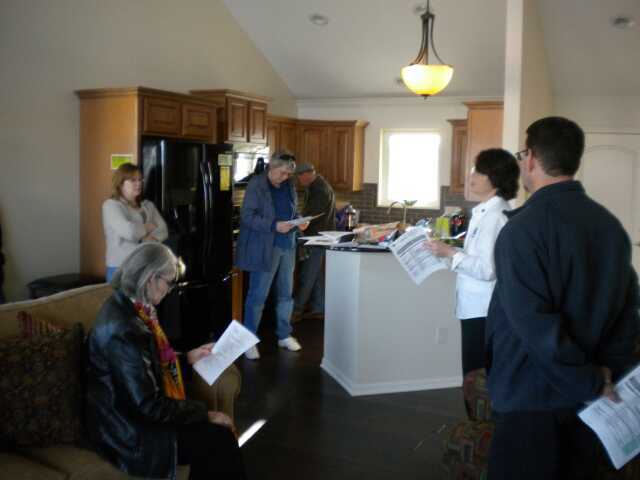 Tuesday, March 23rd, an open house and tour was held for local architects, and on Friday, March 26th, the Wichita Committee of the USGBC Central Plains Chapter attended an open house and tour. 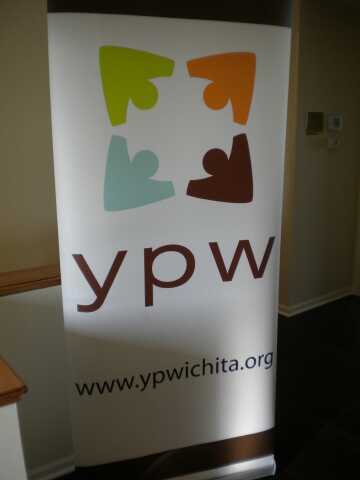 The largest group to attend an open house was on the Young Professionals of Wichita (YPW), on Monday, April 5th. A group of Young Professionals of Wichita waiting for a tour to start. 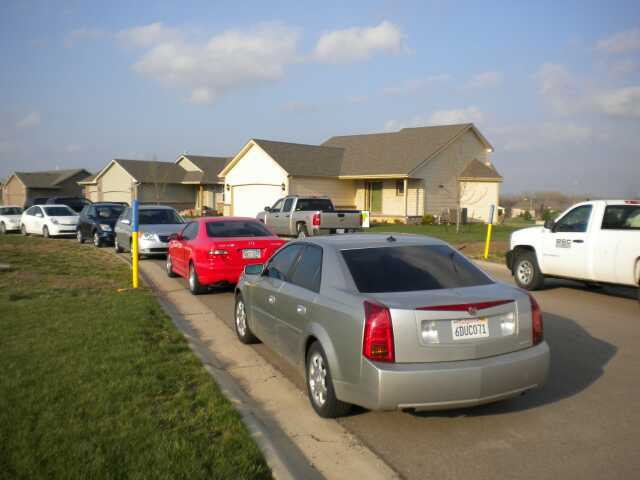 Parking in front of the house for the Young Professionals of Wichita open house. 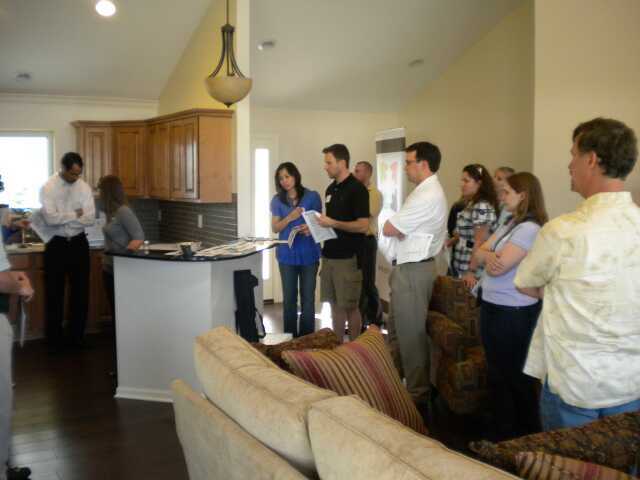 The final open house was held on Tuesday, April 13th, for the Visioneering Environmental Sustainability Alliance. This entry was posted on April 15, 2010 at 11:00 pm and is filed under Green Buiding Residential. You can follow any responses to this entry through the RSS 2.0 feed. You can leave a response, or trackback from your own site.